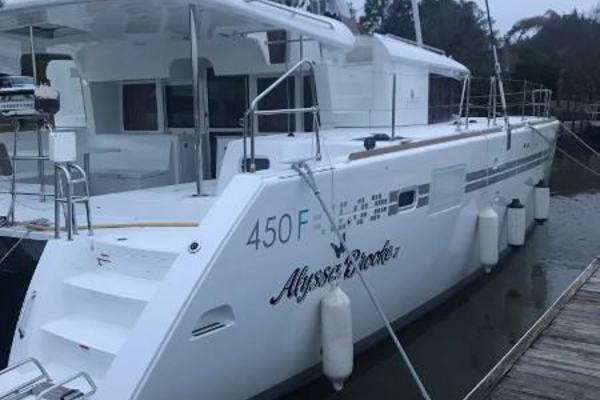 A 60 foot world cruiser, live aboard and term charter sailing catamaran that is fast, long, light, comfortable, efficient and easy to sail (single hand). Low maintenance design provides a safe and unsinkable vessel. 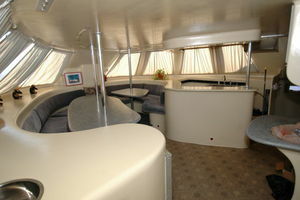 Many windows, ports and hatches provide a lite, open and airy interior. 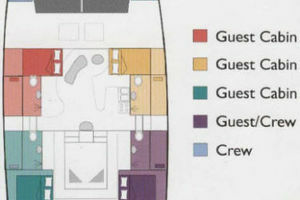 Lots of locker space provides storage for gear and toys (dive gear, windsurf, kite and surfboards). Large aft deck for allows ease of setup for tender operation and setting up water toys. Large swim platform and swim steps provides for easy water access. 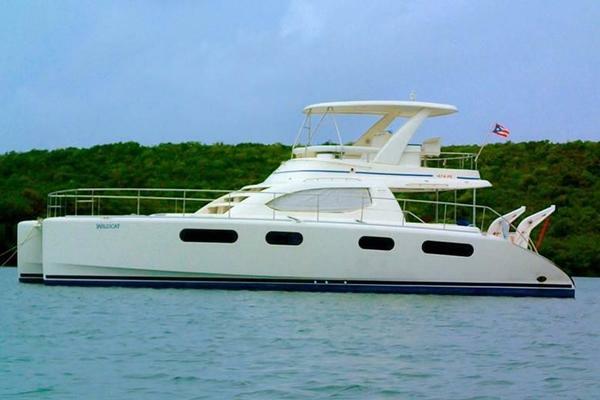 This world cruiser, live aboard or term charter sailing catamaran provide accommodations for 1 to 10 persons in 4 cabins with queen size beds, private heads and showers and two separate crew cabins with single beds and lots of storage. Excellent opportunity exist for new owners to add to an existing fleet or to startup a new business. 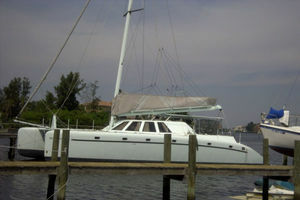 A real money maker with prior weekly BVI bookings in the $16,000-$22,000 range depending on the dates. 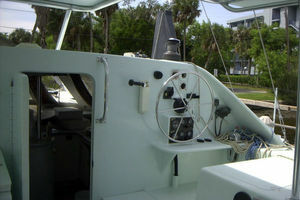 Out-of-State buyers can now buy and use their boat in beautiful Florida for 180 days with No Florida Sales Tax! Ask your EYS broker for details. 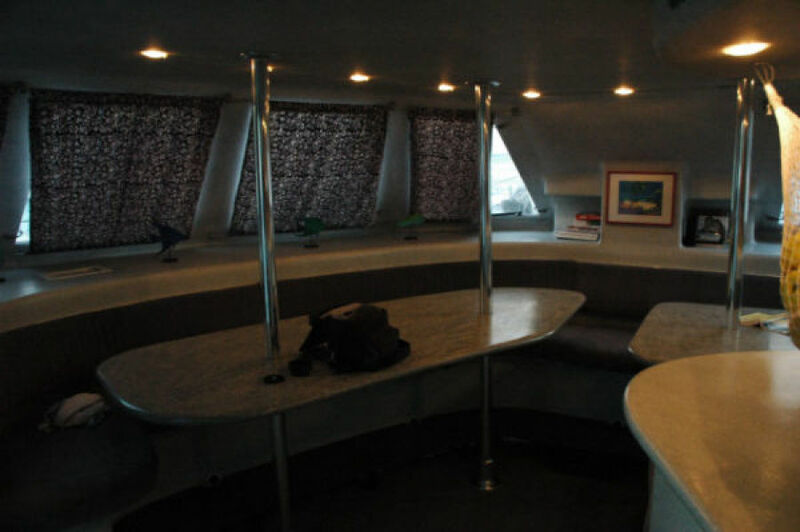 United Yacht Sales New Jersey would love to guide you through a personal showing of this 60' Catamaran Custom Commercial Term Charter Catamaran 60 1999. 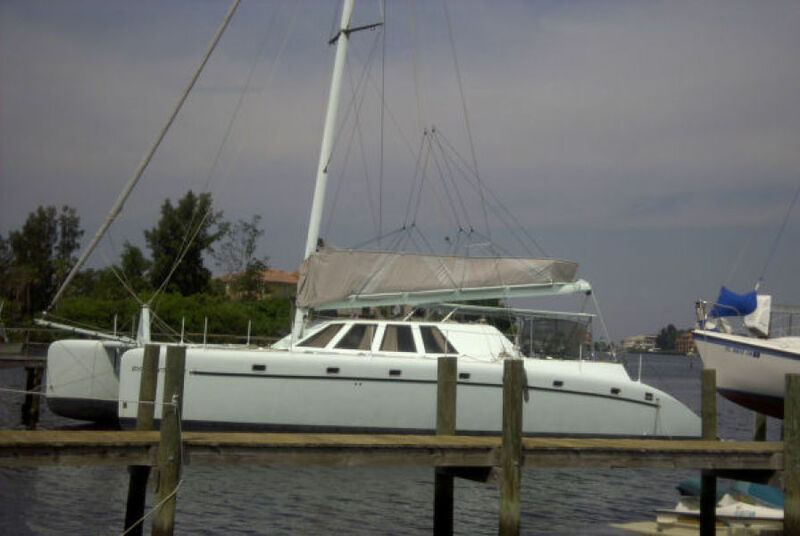 This yacht for sale is located in Tarpon Springs, Florida and priced at $419,900. For a showing please contact us by filling out the form on this page and we will get back to you shortly! 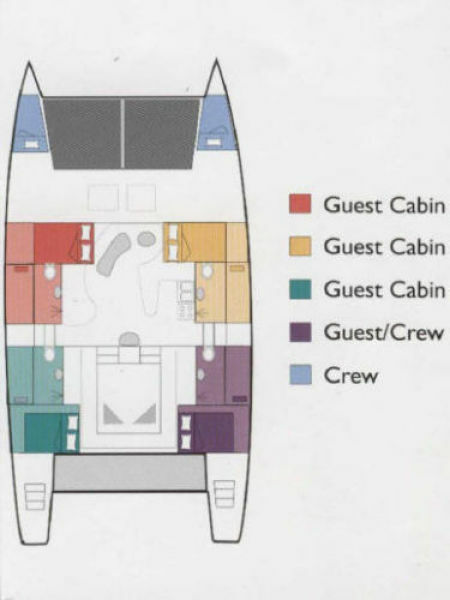 Six cabin vessels has four guest cabins each with queen berth and private Heads w/ Shower and two forward crew cabins each with a single berths. All freshly painted in 2018. 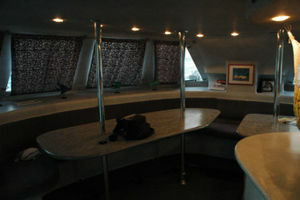 Main salon includes navigation/entertainment station, galley and lounge/dinette that seats thirteen. 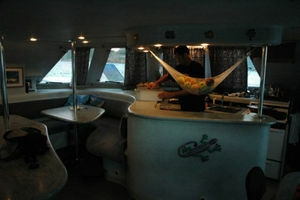 Additional dinette seating in the covered cockpit. 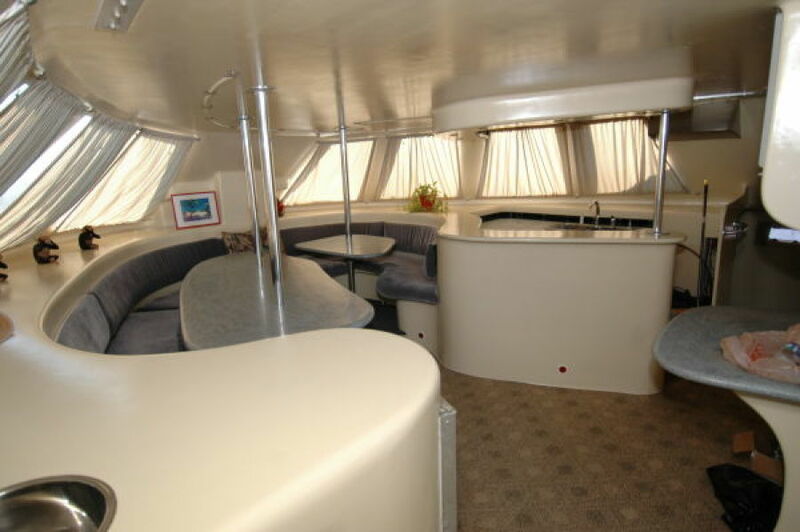 Fully self contained galley with plenty of storage for food, supplies and cooking gear. All tinned marine wiring for less than 3% voltage drop. This catamaran has the best motion in the blue water with 14.5:1 water line length to beam ration. It is smooth on the pitch and not snappy on the roll. 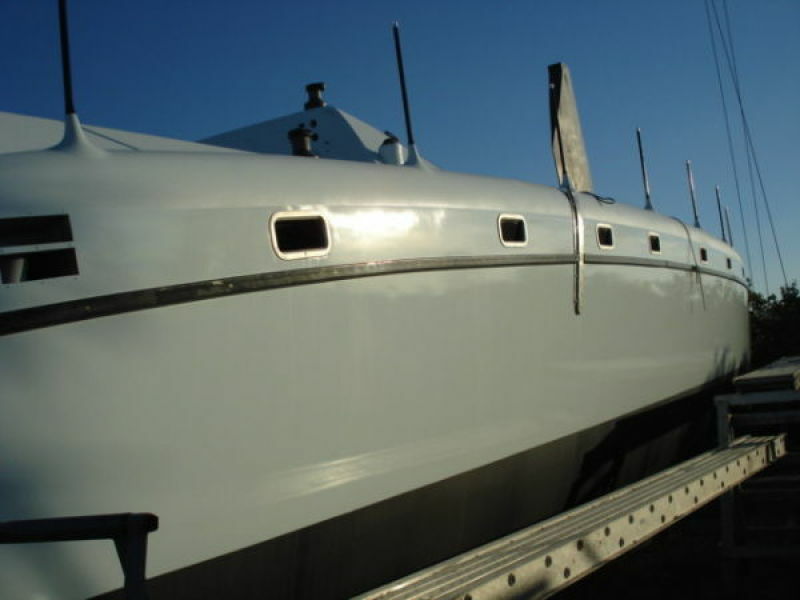 Hulls, deck, bulkheads/crossarms and bridge deck are constructed of composite honeycomb (Nida core)vacuum bagged construction, epoxy resin and biaxial/triaxial fiberglass Composite panels were post cured at 120 to 130. 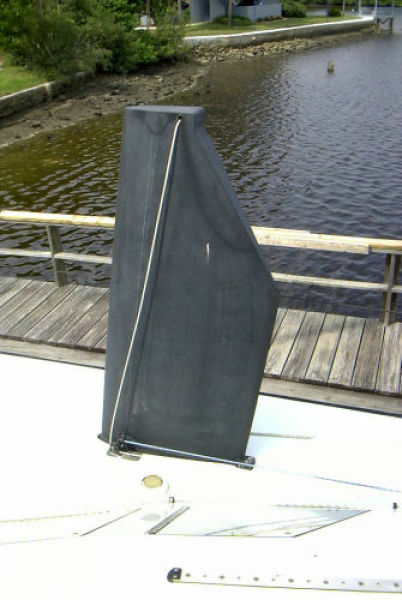 Hulls are 1.33" thick and have 6 bulk heads per hull which have water tight collision bulk heads in bows. 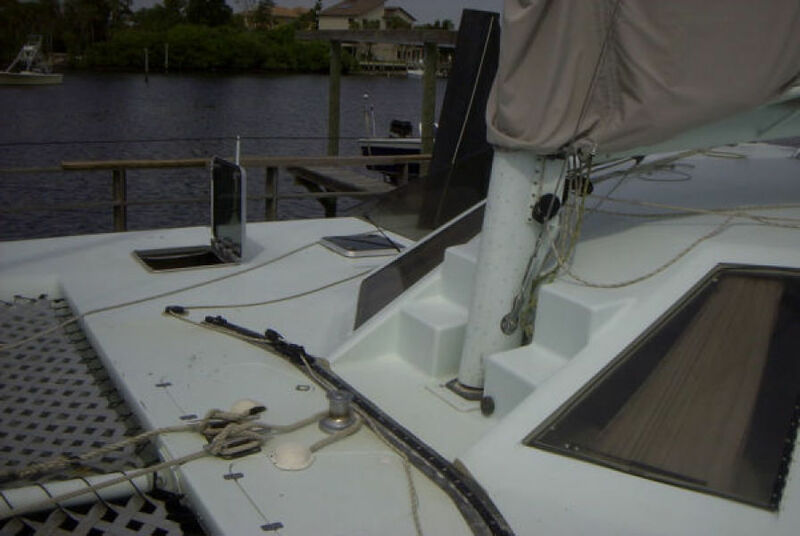 Solid fiberglass (10" to 12" wide) on bottom of hulls (.75" to 1.25" thick) Integral decks with rounded shearline with molded carbon life line stanchions. 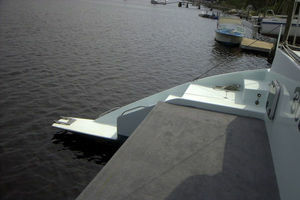 Hull has shaped plumb bows, sugar scoop transoms (swim steps and platforms) with a round hull form (front section more elliptical and aft section more circular). Port and Starboard Helm Stations w/ twin Yanmar Diesels (Port 88hp Yanmar Diesel which runs 100 amp and 210 amp Balmar Alternators; Starboard 47hp Yanmar Diesel which runs 100 amp Balmar Alternator and Glacier Bay A/C unit) Glacier Bay A/C unit runs two Refrigerators, Freezer and Air Conditioning for the vessel. No need for generator reduces weight and maintenance. A total of 1450 to 2650 Sq. 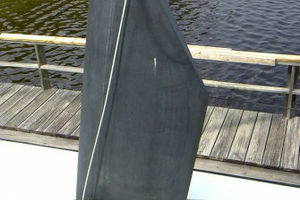 Ft. of Sails (Main Sail 1100 Sq. 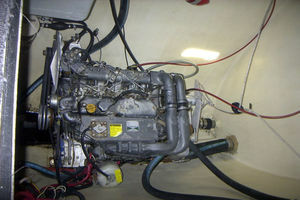 Ft. Vectran 2003, Fiber Spar Carbon Battons, Harken Batton Cars and Track; Jib Sail - 350 Sq. 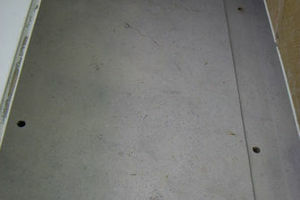 Ft. Vectran 2003, Full Batton Self Tacking; Screecher or Gennaker Sail 1100 Sq. 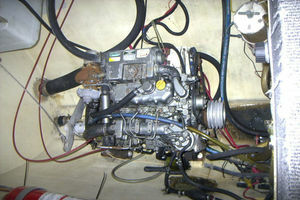 Ft. Vectran 2003). All sails new in 2018. 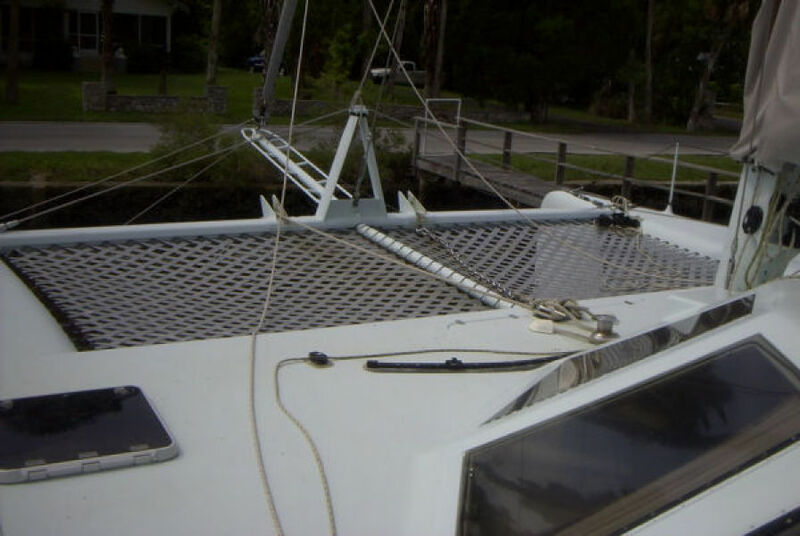 Mast is 65 ft (bridge clearance 75') off the deck 60 ft luft length), 7" x 11" section, aluminum 6061, double spreader, dyform wire on diamonds, shrouds (uppers and lowers) and head stay, internal halyards with main halyard lock at top of mast. 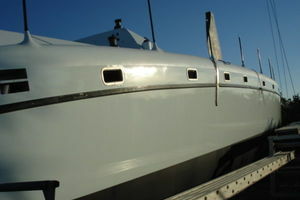 Boom length is 30 ft with internal main sheet ,reef lines and out haul lock. Lazy jacks and stack pack attached to aluminum wing affix to boom. 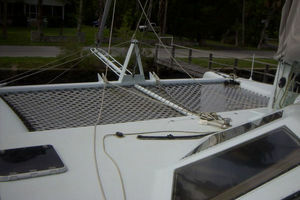 Large aft rigging deck between hulls for watersport setups. 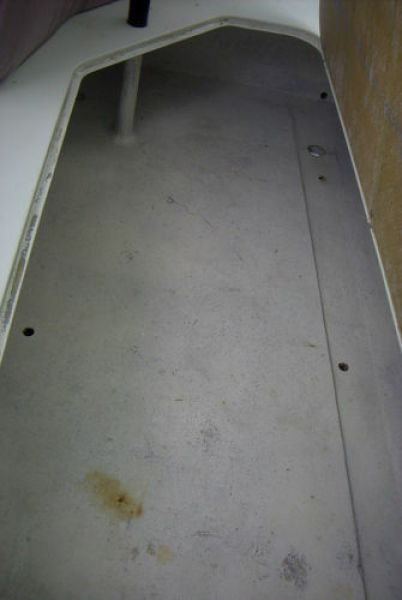 Sugar scoop transom with molded steps and ladder allow for easy access to water. Large forward nets for sunbathing. Updates in Summer of 2018 includes new sails, interior paint job to all cabins and more. Updates in Winter of 2013/2014 includes new cutless bearings and a fresh bottom job as well as general maintenance and touch up. 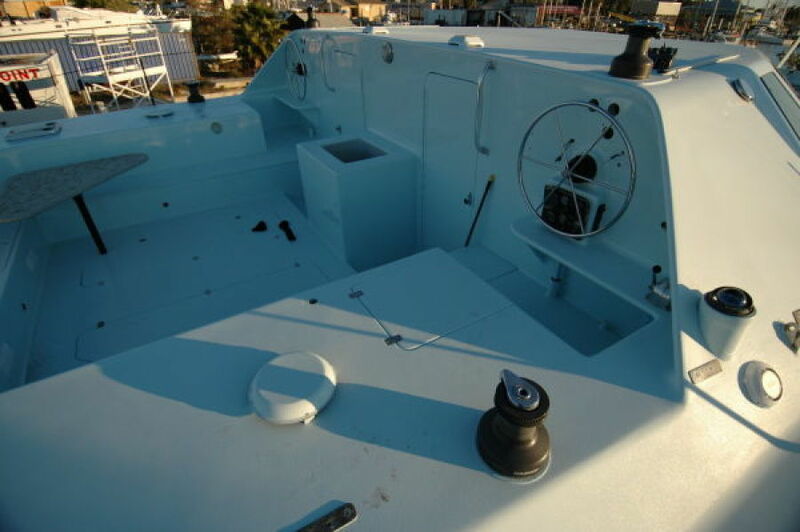 Updates in Winter of 2009/2010 includes Raymarine E80 Instruments, new exterior high end paint on hull, new non skid surface on deck, mast refinished w/ new paint, new carpet, new curtains in main salon, and new stainless stove in galley.